We’ve dreamed about this event for five years, ever since we started our first community repair events in London. We’ve been inspired by so many of you around the world, from California to Tunisia, from Amsterdam to Milan. Prior to starting The Restart Project we learned how global, virtual communities can form, and be sustained through regular meetings. Nothing beats getting together in person, breaking bread and having a drink together. The power of “community repair” is in the community, in the human relationships it forms. It’s our hope that this is just the beginning of emerging international collaboration, and that this is the first of many future Fixfests. Thanks to grant funding from the Shuttleworth Foundation and the support of sponsors iFixit and Sugru, as well as support from venue partners, we are able to welcome you to London. Please make the most of a truly exciting “unconference” where you fill the programme and spark exchange, learning and future change. This guide contains everything you need to know about Fixfest itself but also tips about what to see, do, eat and drink while here. If you’ve been to a regular conference before, you’ll have at least some idea of what to expect: we’ve been busy putting together an exciting programme of speakers and panel discussions. But we want to make sure that Fixfest does justice to the complexity, unpredictability and exciting variation of fixing that our attendees represent. An unconference is planned by you, for you. Over half of our programme will be left empty for workshops, skillshares and lightning talks with anyone who has something to say – or do – about repair. Just turn up on the Friday evening with a session idea, and a facilitator will help you find a place and a time for it. What does an unconference session look like? Curiosity is the place for making, fixing, and exploring the intricacies of repair and repair activism. Here’s where you can share and learn techniques, compare and discuss different tools and methods, talk about a particular recurrent problem that you might be encountering, or explore new ideas to do with making, fixing, or inspiring others. Fairness will focus on repair as a tool for justice. This stream will focus on how we can make sure that we are reaching the people who need repair to maintain access to the internet and make their lives better, and enabling a wider range of people to engage in our events. These sessions might address topics such as the inequalities that emerge in the electronics, technology and repair sectors or how we can move towards more inclusive, less closed design. Earth will address the environmental benefit of repair. From looking at the raw materials to go into our products, to the carbon emissions of their production, to the problem of their disposal, this stream will explore the broader environmental context of repair, as well as more specific topics such as the growing problem of e-waste. Our Fixfest streams are intended to help you come up with an idea of what you want your session to achieve, which will also help you think about who should be participating. It can be difficult to predict how many people will show up, so be prepared to be flexible. You don’t have to host a session by yourself; you may want to find a partner to help you. There’s no rule to what makes a good unconference session, but it’s important that they’re interactive. It can be a tough balance to strike between involving others and making sure the session stays on track: it helps to be clear at the beginning about what you want to achieve. And the more comfortable people are made to feel, the more willing they’ll be to get involved. It’s also good to have a think about how you’ll document the ideas that come out of the session. You may want to bring your own materials, especially if you plan on hosting a hands-on skillshare, but we’ll have whiteboards and projectors available for you to use. Let us know on Friday or in advance if you need these. Finally, we want you to have fun and get creative with the Fixfest programme. Don’t be afraid to put forward ideas that might seem niche, or discussion topics that are tricky. The whole point of an unconference is that it catches all the exciting things that can slip through the cracks of a regular conference programme. If you’ve got an idea but you’re not sure which stream it fits into, don’t worry – our facilitator will help you find a place for it. Our programme is intended to give you as much room as possible to shape what you want your day or weekend to look like. There will be a lot going on – and the hardest part is often choosing what to go to. We’ll send out a programme with details of our pre-planned events, and you can check our unconference board on Saturday morning to see what else is going on. We don’t intend you to exhaust yourself with back-to-back sessions – unconferences can be thirsty work. There’s plenty to do while taking some down-time and grabbing a coffee. You can visit our “marketplace”, where there will be stalls from different repair groups and organisations around the world, you can go see a five-minute lightning talk, or you can just relax and have a chat! Keep in mind that lots of our sessions will be recorded in one way or another – whether as a full audiovisual recording, or through collaborative notetaking – so even if you have to skip a few interesting sessions, you can always catch up later. The life-force of Fixfest will be the interactions that happen between a wide range of people from different backgrounds, genders, and with different abilities. We have a zero-tolerance approach to discrimination of any kind. All our participants are expected to make everyone at Fixfest feel safe, welcome, and involved. Our keynotes will be live captioned and we will endeavour to provide live BSL interpretation where necessary. If you require this service, please contact us in advance of the event. A quiet room will be available at the LSE and at the Greenlab. Quiet rooms are intended to provide a quiet, calm space where attendees can spend time away from noise, lights, and other stimuli of conference spaces. Please respect other attendees and refrain from conversations, meetings, or other potentially disruptive activities in the room. Please do not hesitate to ask if you have any special requirements that aren’t covered here. Greenlab is on the first floor of 3Space and is accessible by stairs or lift. There is an accessible toilet located on the first floor. There is no fixed loop hearing assistance system or braille signage. 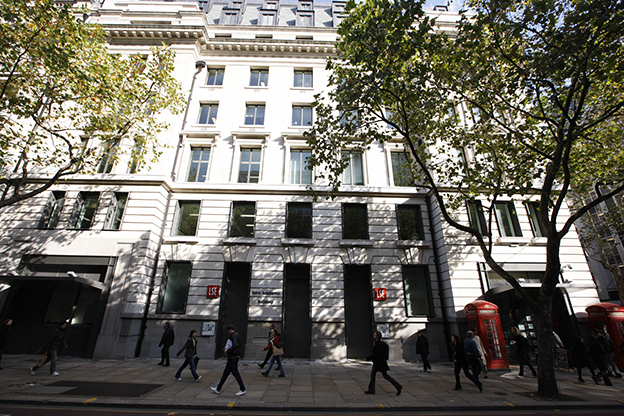 The London School of Economics New Academic Building is located at 54 Lincoln’s Inn Fields, London, WC2A 3LJ. The nearest tube stations are Holborn (on the Piccadilly and Central lines) and Temple (on the Circle and District lines). On Saturday evening, we’ll be directing guests to the 15 vintage routemaster “Heritage” bus, which goes between the London School of Economics and St Paul’s Cathedral, within walking distance of the Museum of London, where we’ll be holding our Restart Party (The Routemaster does not have step-free access: Wheelchair users will be given assistance in finding a taxi). 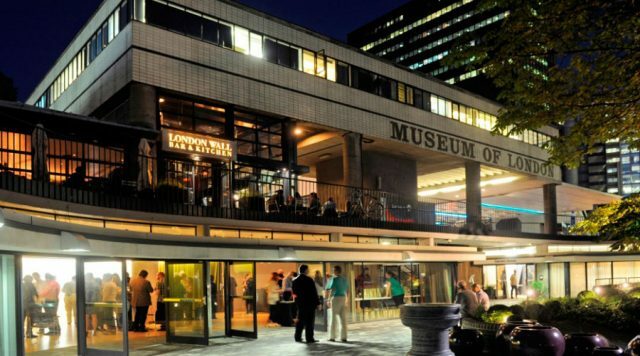 The Museum of London is located at 150 London Wall, London EC2Y 5HN. The nearest tube stations are Barbican (on the Circle, Hammersmith and City and Metropolitan lines), and Moorgate (on the Northern, Circle, Hammersmith and City, and Metropolitan lines). 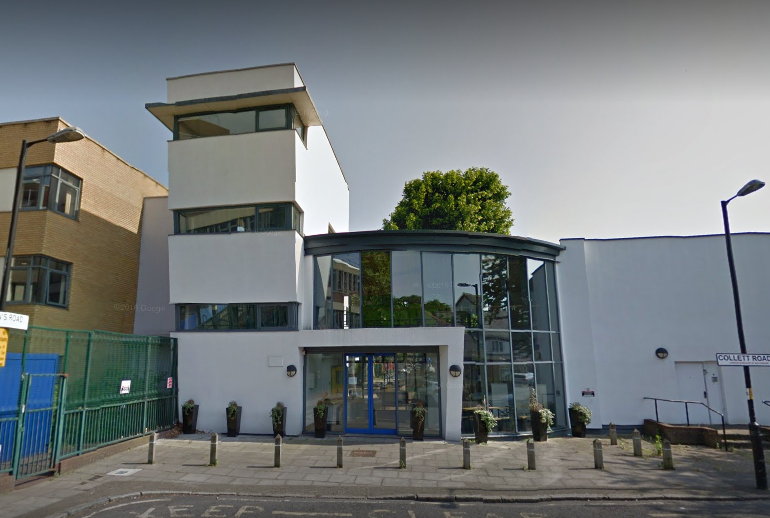 On Sunday, we’ll be in at the Greenlab in 3Space, on the corner of Keeton’s Road & Collett Road, Bermondsey SE16 4EE. The nearest tube station is Bermondsey on the Jubilee line (as is Westminster, if you fancy a visit), or Rotherhithe on the Overground. The Transport for London (TFL) website has a tool for planning journeys, maps, information for first time users and live updates about route closures and delays. If you have data, Citymapper (FREE) gives full instructions with timings from door to door, including options for cycling, walking, bus or tube. If you don’t have data, Citymapper also has cached maps (scroll all the way down the mainscreen). To use London buses, underground and overground transport, you can pay with your contactless bank card, or you can buy an Oyster card, which you can purchase from any underground or overground station. After topping up your Oyster with credit, you touch in at the yellow barriers when you get on and off – or if you’re using the bus, just once when you get on. There are staff available to help at most stations. Please note you cannot pay for London transport with cash. Prices are calculated according to ‘Zones’, which are shown on the map here. With contactless or Oyster, a single bus journey is £1.50. A single rail or tube journey is £2.90 for Zones 1-2 (£2.40 off-peak), £3.30 for Zone 1-3 (£2.80 off-peak), £3.90 for Zones 1-4 (£2.80 off-peak). Pay-as-you-go ‘Caps’ means you will never be charged above a certain amount within any one day. See the TFL website for more information on prices. You don’t have to bring anything to Fixfest apart from yourself: but we recommend the following items to take full advantage of events. If you belong to a repair group or organisation, our marketplace is a chance to bring tradeable items like T-shirts, stickers, badgers, repair kits, or flyers to hand-out and swap with others. On Saturday evening, our Restart Party will be a chance to teach others how to fix things, or learn from a pro. If you’re an experienced fixer, we recommend bringing along your favourite tools – please note that getting tools through airport security can be complicated, you might need to check your bags. If you’re coming to learn, bring a broken gadget to work on. We want to spread the Fixfest message far and wide. To contribute to our social media discussions and follow live updates, come with your smartphone, laptop, tablet, or favourite communications gadget. There’s no shortage of things to do in London, even within walking distance of our venues. Here are some of our picks. Novelty Automation is Tim Hunkin’s arcade of satirical home-made machines. Hand in an object from your pocket and let a stern, robotic art critic judge it’s aesthetic value; dodge phone-obsessed Zombies and discover if you are one too; do on holiday from an armchair, or win a nobel prize with the ‘small hadron collider’. This gem stays true the area’s history as an entertainment quarter in the best possible way. We even made a podcast where we spoke to Tim about his machines and the joy he got from making them. Somerset House used to be home to the Restart Project (in Makerversity), and is just a short walk from LSE. The Cortauld Gallery has a permanent art collection, or check the Somerset House website to find temporary exhibitions, such as an upcoming free exhibition of Moroccan artist Hassan Hajjaj. London Transport Museum is a perennial favourite, only a couple of minutes’ walk from the LSE. See old Routemaster buses and learn about how Londoners get around. Take a walk along the Thames Path from Bermondsey to London Bridge and treat yourself to some spectacular views of London framed by Tower Bridge. Southwark Park, only minutes from 3Space, is a lovely green oasis if you need some green after Fixfest. The White Cube Gallery in Bermondsey has an exhibit by Mexican artist Damián Ortega, who is known for his representations of commodity consumption. This exhibit explores the artist’s interests in data, systems, cataloguing and collecting. We’ll be providing food for lunch and refreshments in the evening. But if you do want to dine out, here are some suggestions. Vegetarian-friendly fast food abounds in London. Pret a Manger is a standby for inexpensive vegetarian options. Leon is slightly pricier but fun. Pod also has good Asian-influenced vegetarian fare.